¿Cómo es estar a bordo del ferry? 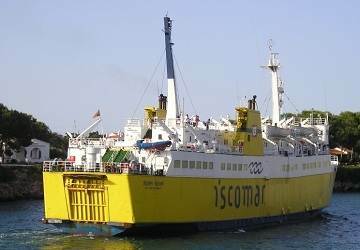 La mayoría de las compañías navieras afirman que sus vacaciones empiezan desde el momento en que sube a bordo del ferry. Los ferris utilizados en nuestra amplia red de rutas incluyen desde cruceros de lujo hasta jets de pasajeros para visitas rápidas a islas, así que aquí tienes la oportunidad de descubrir qué puedes esperar cuando viajas en ferry. Haga click en el nombre de un barco para ver nuestra guía. Si un barco no aparece en la lista, significa que todavía no tenemos información al respecto. Pero vuelve pronto, ya que actualizamos nuestra base de datos constantemente. Blue Star Naxos con Blue Star Ferries. Bencomo Express & Bentago Express con Fred Olsen Express. Nissos Mykonos con Hellenic Seaways. Express Pegasus & Flyingcat con Hellenic Seaways. Flying Dolphins con Hellenic Seaways. Martin i Soler con Balearia. Jaume I, Jaume II, Jaume III & Martin i Soler con Balearia. Almudaina Dos con Trasmediterranea. Alhucemas con Balearia. Alborán, Ciudad de Malaga & Las Palmas de Gran Canaria con Trasmediterranea. Las Palmas de Gran Canaria & Vronskiy con Trasmediterranea. Alcántara Dos, Almariya, Almudaina Dos, Juan J Sister & Las Palmas de Gran Canaria con Trasmediterranea. Ciudad de Mahón & Vronskiy con Trasmediterranea. Bithia & Janas con Tirrenia. Diagoras con Blue Star Ferries. Blue Star Naxos & Diagoras con Blue Star Ferries. Cruise Barcelona & Cruise Roma con Grimaldi Lines. Excellent, Fantastic & Splendid con Grandi Navi Veloci. Excellent, Fantastic, Majestic & Splendid con Grandi Navi Veloci. Audacia, Forza, Superfast I & Superfast II con Anek Superfast. Bari con Ventouris Ferries. Audacia, Forza, Superfast I & Superfast II con Anek Superfast. Baie de Seine & Cap Finistère con Brittany Ferries. Elli T & Ionian Queen con Endeavor Lines. Euroferry Olympia con Grimaldi Lines. Elli T & Ionian Queen con Endeavor Lines. Catania & Euroferry Olympia con Grimaldi Lines. Catania & Euroferry Olympia con Grimaldi Lines. Elli T & Ionian Queen con Endeavor Lines. Albayzin & Ciudad de Granada con Trasmediterranea. Superfast VII & Superfast VIII con Stena Line. Moby Giraglia con Moby Lines. Alborán & Milenium Dos con Trasmediterranea. Avemar Dos, Jaume I, Jaume II & Jaume III con Balearia. Apollon Hellas, Express Pegasus, Express Skiathos & Flyingcat con Hellenic Seaways. Express Pegasus, Express Skiathos & Flyingcat con Hellenic Seaways. Jaume I, Jaume II, Jaume III & Levante con Balearia. Hellenic Spirit con Anek Lines. Kriti II, Superfast I & Superfast II con Anek Superfast. Prevelis con Anek Lines. Bari con Ventouris Ferries. Blue Star 1, Blue Star 2 & Diagoras con Blue Star Ferries. Blue Star 1 con Blue Star Ferries. Blue Star 2 con Blue Star Ferries. 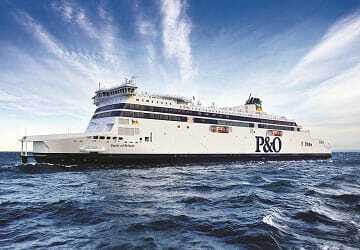 Pride of Burgundy, Pride of Canterbury, Pride of Kent, Spirit of Britain & Spirit of France con P&O Ferries. C Class, Calais Seaways & Malo Seaways con DFDS Seaways. D Class con DFDS Seaways. Bari, Rigel & Rigel II con Ventouris Ferries. Michela con Adria Ferries. Flying Dolphins & Poseidon Hellas con Hellenic Seaways. Flying Dolphins & Flyingcat con Hellenic Seaways. Gabriella & Mariella con Viking Line. Silja Serenade & Silja Symphony con Tallink Silja. Baltic Queen & Victoria I con Tallink Silja. Seajet2 & Superjet con Sea Jets. Flyingcat con Hellenic Seaways. Seajet2 & Superjet con Sea Jets. Seajet2 con Sea Jets. Flyingcat con Hellenic Seaways. Ciudad de Granada & Ciudad de Mahón con Trasmediterranea. Eivissa Jet, Maverick, Maverick Dos, Nixe, Posidonia & Ramon Llull con Balearia. Bahama Mama & Pinar del Rio con Balearia Caribbean. 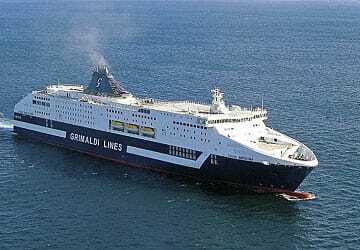 Baltivia & Scandinavia con Polferries. Moby Wonder con Moby Lines. Moby Otta & Moby Wonder con Moby Lines. Splendid con Grandi Navi Veloci. Bithia & Janas con Tirrenia. Rhapsody con Grandi Navi Veloci. Moby Drea con Moby Lines. Athara & Sharden con Tirrenia. Excellent, Fantastic, La Superba, La Suprema & Splendid con Grandi Navi Veloci. Apollon Hellas, Express Skiathos & Flyingcat con Hellenic Seaways. Mega Express Three con Corsica Sardinia Ferries. Stena Danica & Stena Jutlandica con Stena Line. Beetle Jet Ferry con JR Kyushu Beetle Jet Ferry. Festos Palace & Knossos Palace con Minoan Lines. Blue Horizon con Blue Star Ferries. Ben My Chree con Steam Packet. MS Bergensfjord & MS Stavangerfjord con Fjord Line. Superspeed 1 & Superspeed 2 con Color Line. Fjord Cat con Fjord Line. Dublin Swift, Epsilon & Ulysses con Irish Ferries. Stena Adventurer & Stena Superfast X con Stena Line. Stena Britannica & Stena Hollandica con Stena Line. 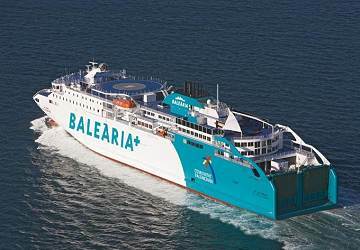 Levante, Martin i Soler & Visemar One con Balearia. Adriatico, Ciudad Autonoma Melilla, Ciudad de Mahón, Juan J Sister & Tenacia con Trasmediterranea. Garcia Lorca, Passio per Formentera & Ramon Llull con Balearia. Daniya, Garcia Lorca & Passio per Formentera con Balearia. Cruise Europa & Cruise Olympia con Minoan Lines. Forza & Superfast XI con Anek Superfast. Hellenic Spirit con Anek Lines. Forza & Olympic Champion con Anek Superfast. Monte d’Oro con Corsica Linea. Corsica Victoria & Mega Smeralda con Corsica Sardinia Ferries. Blue Star Delos con Blue Star Ferries. Highspeed con Hellenic Seaways. Seajet2 con Sea Jets. Highspeed con Hellenic Seaways. Tera Jet con Sea Jets. Seajet2, Superjet & Tera Jet con Sea Jets. Blue Star Paros con Blue Star Ferries. Highspeed con Hellenic Seaways. Seajet2, Superjet & Tera Jet con Sea Jets. Highspeed con Hellenic Seaways. Blue Star Delos & Blue Star Paros con Blue Star Ferries. Blue Star Delos & Blue Star Paros con Blue Star Ferries. Highspeed con Hellenic Seaways. Superjet con Sea Jets. Blue Star Paros con Blue Star Ferries. Seajet2, Superjet & Tera Jet con Sea Jets. Highspeed con Hellenic Seaways. Blue Star Delos con Blue Star Ferries. Blue Star Naxos con Blue Star Ferries. Flyingcat con Hellenic Seaways. Flyingcat con Hellenic Seaways. Blue Star Naxos con Blue Star Ferries. Commodore Clipper & Condor Rapide con Condor Ferries. Stena Vision con Stena Line. Blue Star 1 & Blue Star Naxos con Blue Star Ferries. Seajet2 con Sea Jets. Highspeed con Hellenic Seaways. Blue Star Naxos con Blue Star Ferries. Superjet con Sea Jets. Highspeed con Hellenic Seaways. Stena Germanica, Stena Scandinavica & Stena Spirit con Stena Line. Blue Star Naxos con Blue Star Ferries. Seajet2 con Sea Jets. Highspeed con Hellenic Seaways. Highspeed con Hellenic Seaways. Blue Star Naxos con Blue Star Ferries. Seajet2 con Sea Jets. Galaxy con Tallink Silja. Amorella & Viking Grace con Viking Line. Amorella con Viking Line. Galaxy con Tallink Silja. European Causeway & European Highlander con P&O Irish Sea. Superspeed 1 & Superspeed 2 con Color Line. Blue Star 1 & Diagoras con Blue Star Ferries. Stena Flavia con Stena Line. European Endeavour, Norbank & Norbay con P&O Irish Sea. Stena Lagan & Stena Mersey con Stena Line. Moby Vincent con Moby Lines. Corsica Marina, Mega Express Two, Sardinia Regina & Sardinia Vera con Corsica Sardinia Ferries. Benchijigua Express con Fred Olsen Express. Adriatico, Almariya, Ciudad de Mahón & Juan J Sister con Trasmediterranea. Ciudad de Granada, Ciudad de Mahón & Forza con Trasmediterranea. Ciudad Autonoma Melilla & Juan J Sister con Trasmediterranea. Baltic Queen, Silja Serenade, Silja Symphony & Victoria I con Tallink Silja. Amorella & Cinderella con Viking Line. Baltic Queen con Tallink Silja. Amorella con Viking Line. Baltic Princess con Tallink Silja. Paglia Orba con Corsica Linea. Pascal Paoli con Corsica Linea. Ciudad Autonoma Melilla, Ciudad de Granada & Juan J Sister con Trasmediterranea. Flyingcat & Poseidon Hellas con Hellenic Seaways. Prevelis con Anek Lines. Superjet con Sea Jets. Flyingcat con Hellenic Seaways. Prevelis con Anek Lines. Superjet con Sea Jets. Bonanza Express con Fred Olsen Express. Theologos P con Cyclades Fast Ferries. Blue Star Paros con Blue Star Ferries. Highspeed & Nissos Mykonos con Hellenic Seaways. Champion Jet 1 & Superjet con Sea Jets. Highspeed con Hellenic Seaways. Superjet & Tera Jet con Sea Jets. Champion Jet 1, Seajet2, Superjet & Tera Jet con Sea Jets. Flyingcat & Highspeed con Hellenic Seaways. Blue Star Paros con Blue Star Ferries. Blue Star Paros con Blue Star Ferries. Seajet2 & Superjet con Sea Jets. Flyingcat & Highspeed con Hellenic Seaways. Seajet2 con Sea Jets. Blue Star Paros con Blue Star Ferries. Highspeed & Nissos Mykonos con Hellenic Seaways. Champion Jet 1, Seajet2, Superjet & Tera Jet con Sea Jets. Highspeed con Hellenic Seaways. Flyingcat con Hellenic Seaways. Blue Star Paros con Blue Star Ferries. Theologos P con Cyclades Fast Ferries. Seajet2 con Sea Jets. Ariadne con Hellenic Seaways. Blue Star Patmos con Blue Star Ferries. Fantastic & Majestic con Grandi Navi Veloci. Florio & Rubattino con Tirrenia. GNV Atlas, GNV Cristal & Rhapsody con Grandi Navi Veloci. Highspeed con Hellenic Seaways. Champion Jet 1 & Superjet con Sea Jets. Blue Star Delos & Blue Star Naxos con Blue Star Ferries. Superjet & Tera Jet con Sea Jets. Highspeed con Hellenic Seaways. Blue Star Delos, Blue Star Naxos & Blue Star Paros con Blue Star Ferries. Seajet2 & Superjet con Sea Jets. Flyingcat & Highspeed con Hellenic Seaways. King Seaways & Princess Seaways con DFDS Seaways. Côte d'Albâtre & Seven Sisters con DFDS Seaways. 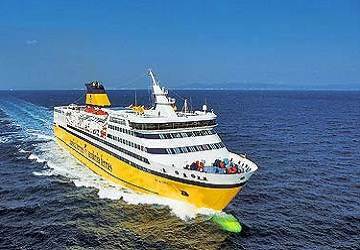 Mega Express con Corsica Sardinia Ferries. Mega Express Five & Mega Express Four con Corsica Sardinia Ferries. Moby Corse & Moby Wonder con Moby Lines. Bithia, Janas & Nuraghes con Tirrenia. Moby Aki, Moby Otta & Moby Tommy con Moby Lines. Zeus Palace con Grimaldi Lines. Crown Seaways & Pearl Seaways con DFDS Seaways. Stena Saga con Stena Line. Color Fantasy & Color Magic con Color Line. Fantastic con Grandi Navi Veloci. Excellent, Excelsior, La Superba & La Suprema con Grandi Navi Veloci. Zeus Palace con Grimaldi Lines. Excelsior & Fantastic con Grandi Navi Veloci. Ciudad Autonoma Melilla, Ciudad de Mahón & Tenacia con Trasmediterranea. Abel Matutes & Visemar One con Balearia. Ciudad Autonoma Melilla, Ciudad de Mahón & Forza con Trasmediterranea. Abel Matutes, Garcia Lorca, Passio per Formentera & Visemar One con Balearia. Albayzin, Ciudad de Granada & Forza con Trasmediterranea. Abel Matutes & Visemar One con Balearia. Flying Dolphins, Highspeed & Poseidon Hellas con Hellenic Seaways. Seajet2 con Sea Jets. Blue Star Delos & Blue Star Naxos con Blue Star Ferries. Highspeed con Hellenic Seaways. Superjet con Sea Jets. Blue Star Delos & Blue Star Naxos con Blue Star Ferries. Artemis con Hellenic Seaways. Cruise Europa & Cruise Olympia con Minoan Lines. Forza, Olympic Champion & Superfast XI con Anek Superfast. Hellenic Spirit con Anek Lines. Moby Tommy con Moby Lines. Bocayna Express con Fred Olsen Express. 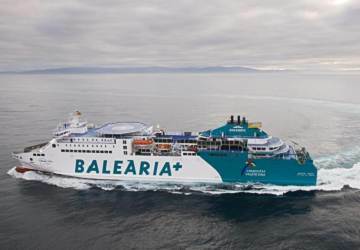 Condor Liberation con Condor Ferries. Jean Nicoli con Corsica Linea. Moby Ale con Moby Lines. Acciarello con Blu Navy. Mont St Michel, Normandie & Normandie Express con Brittany Ferries. 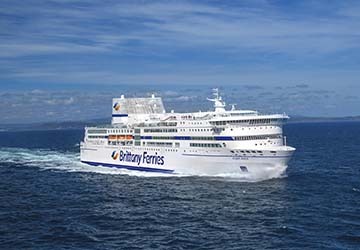 Normandie Express con Brittany Ferries. Commodore Clipper con Condor Ferries. Baie de Seine & Etretat con Brittany Ferries. Norman Voyager con DFDS Seaways. Commodore Clipper con Condor Ferries. Blue Star Patmos con Blue Star Ferries. Ariadne con Hellenic Seaways. Blue Star Paros con Blue Star Ferries. 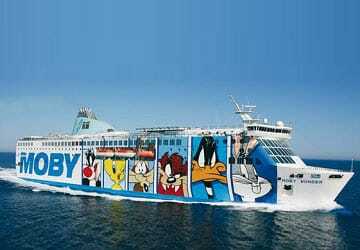 Theologos P con Cyclades Fast Ferries. Flyingcat con Hellenic Seaways. Seajet2 con Sea Jets. Blue Star Paros con Blue Star Ferries. Flyingcat con Hellenic Seaways. Superjet con Sea Jets. Seajet2 con Sea Jets. Flyingcat con Hellenic Seaways. Blue Star Paros con Blue Star Ferries. Theologos P con Cyclades Fast Ferries. Seajet2 con Sea Jets. Flyingcat con Hellenic Seaways. Isabelle & Romantika con Tallink Silja. Blue Star 1, Blue Star 2 & Diagoras con Blue Star Ferries. Prevelis con Anek Lines. Blue Star 2 con Blue Star Ferries. Prevelis con Anek Lines. Pont Aven con Brittany Ferries. Armorique & Pont Aven con Brittany Ferries. Oscar Wilde con Irish Ferries. Stena Horizon con Stena Line. Stena Europe con Stena Line. Isle of Inishmore con Irish Ferries. Huckleberry Finn & Tom Sawyer con TT Line. Mecklenburg Vorpommern & Skåne con Stena Line. Pride of Hull & Pride of Rotterdam con P&O Ferries. San Frangisk & San Pawl con Venezia Lines. Zeus Palace con Grimaldi Lines. Elli T & Ionian Queen con Endeavor Lines. Ciudad de Granada con Trasmediterranea. Moby Bastia & Moby Giraglia con Moby Lines. Cap Finistère & Etretat con Brittany Ferries. 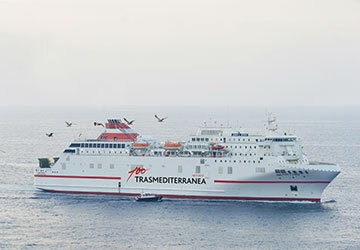 Mega Express Two con Corsica Sardinia Ferries. Blue Star 1, Blue Star Delos, Blue Star Naxos & Blue Star Paros con Blue Star Ferries. Highspeed & Nissos Mykonos con Hellenic Seaways. Seajet2 con Sea Jets. Regina della Pace con Blueline. Marko Polo con Jadrolinija. 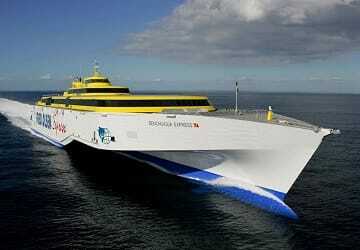 Condor Rapide con Condor Ferries. Marko Polo con Jadrolinija. Regina della Pace con Blueline. Color Viking con Color Line. MS Oslofjord con Fjord Line. Nils Dacke con TT Line. Megastar, Silja Europa & Tallink Star con Tallink Silja. Viking Xprs con Viking Line. Finlandia con Eckerö Line. Fantastic, Majestic & Splendid con Grandi Navi Veloci. Isola Di Capraia con Tirrenia. Prevelis con Anek Lines. Highspeed con Hellenic Seaways. Champion Jet 1 & Superjet con Sea Jets. Blue Star 2, Blue Star Delos & Blue Star Naxos con Blue Star Ferries. Megajet, Superjet & Tera Jet con Sea Jets. Highspeed con Hellenic Seaways. Prevelis con Anek Lines. Champion Jet 1, Seajet2, Superjet & Tera Jet con Sea Jets. Highspeed con Hellenic Seaways. Blue Star Delos & Blue Star Naxos con Blue Star Ferries. Blue Star Delos & Blue Star Naxos con Blue Star Ferries. Highspeed con Hellenic Seaways. Superjet con Sea Jets. Blue Star Paros con Blue Star Ferries. Seajet2 con Sea Jets. Flyingcat con Hellenic Seaways. Seajet2 con Sea Jets. Mega Express, Mega Express Five & Mega Smeralda con Corsica Sardinia Ferries. Mega Express Five, Mega Express Four & Mega Smeralda con Corsica Sardinia Ferries. 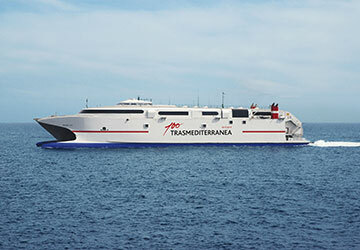 Mega Express & Mega Express Four con Corsica Sardinia Ferries. Nils Holgersson, Peter Pan & Robin Hood con TT Line. Zeus Palace con Grimaldi Lines. Fantastic con Grandi Navi Veloci. Danielle Casanova & Méditerranée con Corsica Linea. Amorella & Viking Grace con Viking Line. Baltic Princess & Galaxy con Tallink Silja. Adriatico, Alcántara Dos, Almudaina Dos & Juan J Sister con Trasmediterranea. Abel Matutes & Visemar One con Balearia. Stena Nautica con Stena Line. Aratere, Kaiarahi & Kaitaki con Interislander. Strait Feronia & Straitsman con Bluebridge. Pride of Bruges & Pride of York con P&O Ferries.